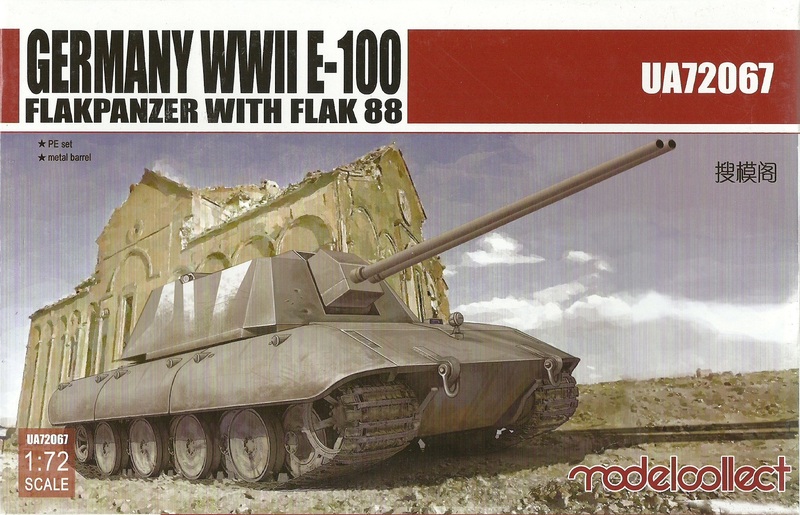 A superb example of the E-100 that was designed as a super heavy tank but never quite entered service despite the prototype chassis being complete by the end of WWII. The E-100 chassis was also intended to be used in an artillery role, as a tank destroyer and as an anti aircraft platform as shown here. Includes decals, photo etched parts and metal gun barrels.